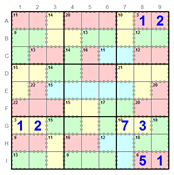 Take part in our Daily Online Sudoku Competition or just solve for fun ! 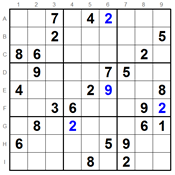 Our new interactive Sudoku Solver will take you step by step through the process of solving a Sudoku puzzle using up to 36 different methods. With our experience in puzzles we have compiled the best tutorials to help you learn to solve even the toughest of puzzles. For more information click here. Our interactive solver teaches you new methods and techniques or just helps you with that tricky puzzle. Puzzle packs are a great way to get your monthly fix of our expertly graded puzzles. 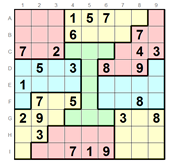 Each puzzle pack contains 50 puzzles (25 in case of Samurai) and is in PDF format. 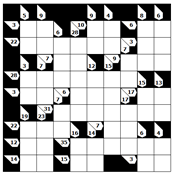 We offer puzzle packs of Sudoku, Killer Sudoku, Jigsaw Sudoku, Kakuro and Samurai. Want an online player for your site? 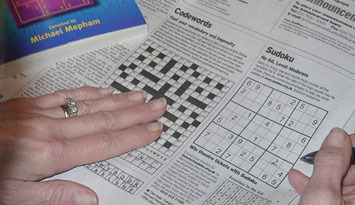 We supply puzzles to many publications including the Daily Telegraph, New York Times and Chicago Tribune. Please contact us for details of the complete service that we are able to provide. In addition to our solvers we also offer utilities to help you solve various puzzles. 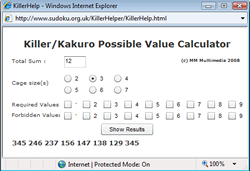 One example is our Killer/Kakuro possible value calculator. 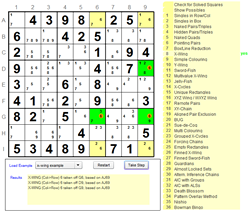 Online SUDOKU - Play Sudoku Online NOW. All grades available.